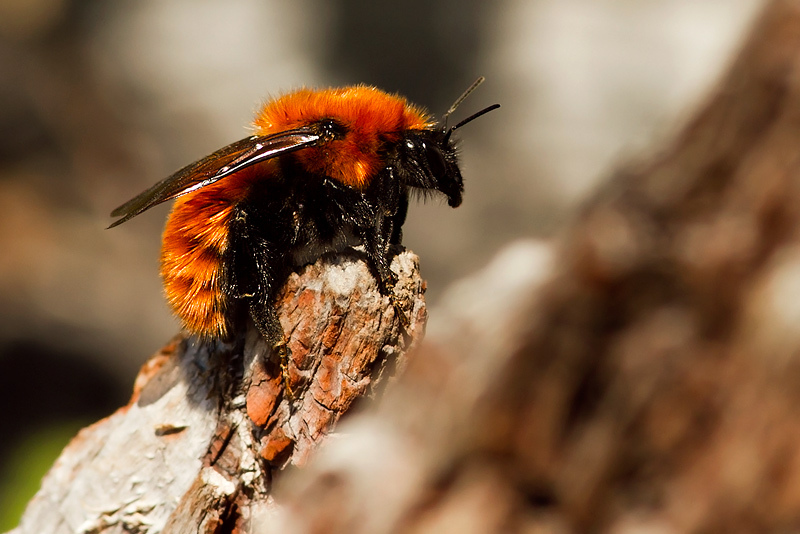 OK, so we know that as you’re reading this there’s probably a pretty good chance you already have a lot of respect for the bees in this world, but it can never hurt to remind ourselves why they’re so important – and fascinating. 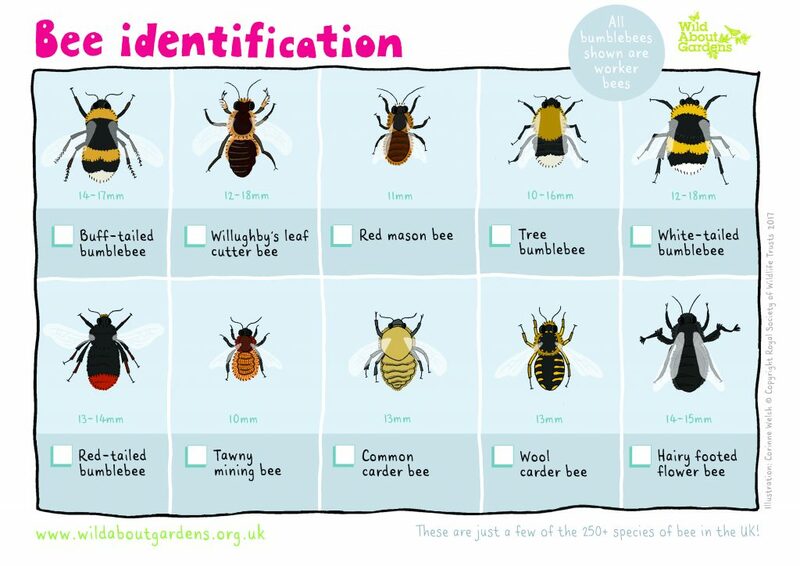 1.Bees are responsible for pollinating the flowers in our gardens, certainly, but they’re also to thank for coffee, chocolate and cotton, to name but a few others. 2. In fact, bees are responsible – through pollinating – for around a third of the food we eat. If you want to put a price on that, the Guardian reported that the retail value of what bees pollinate it runs into the billions, and wild bees (of which you can count the species that take up residence in the beepalace) provide crop pollination services which are worth more than $3,250 per hectare per year. 4. 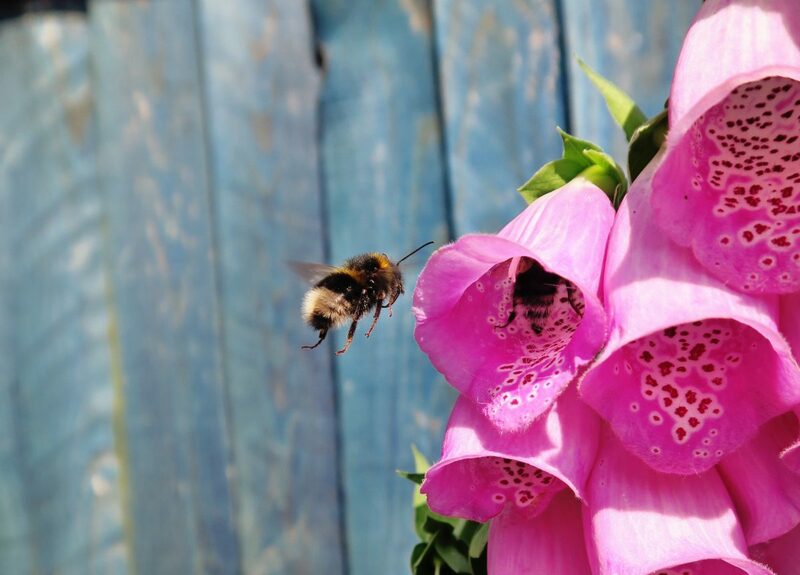 In 2015 a study found that 2% of wild species of bees in fact accounted for almost 80% of visits to crops being studied, challenging the assumption (held by many of us) that it’s the honeybee that’s responsible for pollinating our plants. If that sounds like that’s a lot of responsibility on a few species of bees, you’d be right: with honey bee populations under threat, this seems only further proof that we need to encourage a wider range of bees into our fields, hedgerows and gardens. 6. 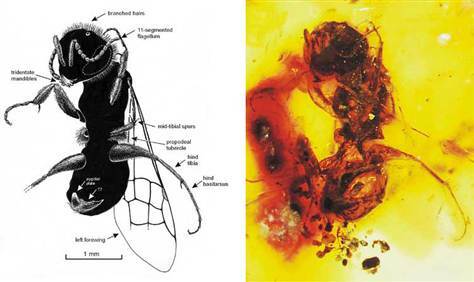 Bees were descended from wasps, a fact not probably a surprise to many, given their aesthetic similarities! 9. 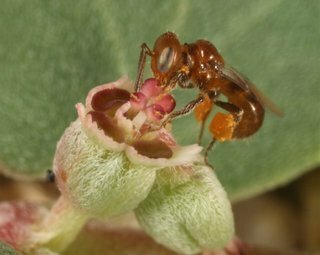 From the largest to the smallest: the most diminutive bee is less than 2mm in length and hails from the southwestern United States. Introducing Perdita minima. 10. 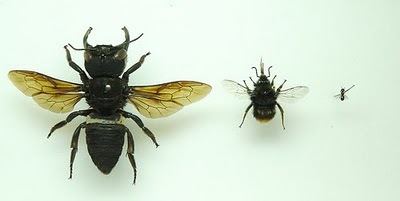 Bees don’t have knees in the sense we understand knees (although given that they have multiple sections to their legs, they obviously have joints, just not a knee cap. 11. 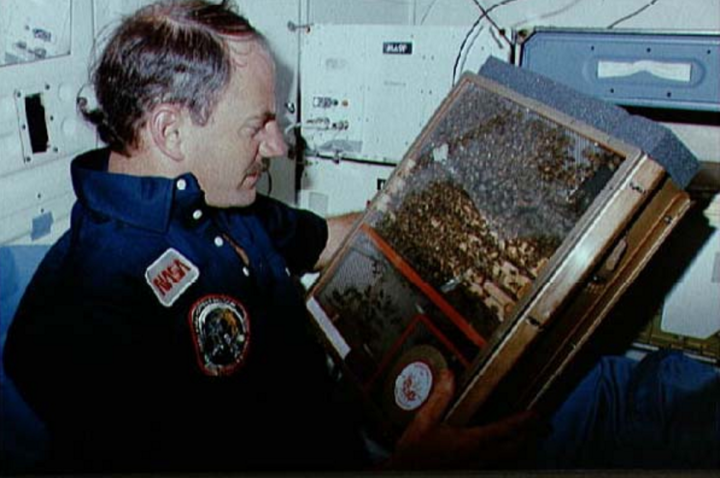 In 1983 a researcher named Walter Kaiser discovered that bees did in fact sleep. It was the first record of sleep in an invertebrate and he noticed that, just like we do, bees showed signs of impending sleep, first by its legs flexing, then by resting its head on the floor. He also noted that many bees held each other’s legs whilst they slumbered. 12. They’re smart. Researchers at Queen Mary’s University London discovered that bees were able to learn how to perform quite complex tasks, simply by observing others do it. If you order, your details will be added to a mailing list to receive updates on research and product information. Your privacy is respected and your details will not be shared or sold to any other companies. Please notify us in writing to the above address or e-mail info@beepalace.co.uk if you wish to be removed from our mailing list. Prices applicable in the United Kingdom only. As part of our policy of continuous product development, all specification, descriptions, images, prices and availability may be subject to change at any time without prior notification. Although we do our utmost to ensure that information is correct there may be times when errors occur and we do not provide guarantee as to the accuracy, completeness or suitability of any of the information on this website including pricing. Colours may vary slightly from those shown on the website as the beepalaces are handmade in small batches. We will inform you of delivery times as soon as is reasonably practical after receiving your order. The beepalace is made by seasoned potters who do not rush their work to ensure a quality product is produced. For your convenience, deliveries do not need to be signed for and can be made to an address of your choice. If you give us specific delivery instructions (e.g. leave in garage) drivers will leave goods as requested. This is only applicable on orders which are delivered by our courier. Other orders which are delivered by Royal Mail are subject to Royal Mail delivery terms and conditions, as a result specific delivery instructions will not be adhered to. Ordering from outside the UK. Unfortunately we are currently unable to deliver outside the United Kingdom from this site. Returns and No Quibble Guarantee. Our “no quibble” guarantee means that if for any reason you are unhappy with your purchase you should call us within 14 days to arrange return; we will replace the item or issue a full refund for the price you paid for the item. You can always return items if they are defective. The beepalace is made of earthenware and may break if dropped. We will only accept responsibility for broken items if we are informed at the time of delivery. The beepalace may crack if exposed to frost. We recommend that it is kept in a cool place such as a garage or cellar over winter. We do not accept responsibility for frost damaged items. Please see below for details of how to return defective items to us. If you are returning an item because of an error on our part or because it is defective, we will be happy to refund you any reasonable delivery charges incurred in sending the item to you and your costs in returning it to us. If you wish to return an item, please contact us by calling or e-mailing. Please include your contact details and the reason or their return and we can arrange for this to be returned. You have the right to cancel the contract for the purchase of a beepalace any time within 7 working days, beginning the day after the delivery date. If you decide to cancel, please retain the delivery note and inform us by calling or e-mailing confirming that you wish to cancel and stating your contacts details and customer number. Please note: you will be responsible for the costs of returning the goods to us unless we delivered them item to you in error or the item is faulty. If we arrange for the items to be collected we will deduct the cost of doing so from the amount refunded. As soon as we receive notice of your cancellation of this order, we will refund the purchase price for that item within 30 days. This website and the product shown are subject to Copyright and/or Design Registration Protection. Other forms of registered intellectual property may exist from time–to–time. beepalace Ltd reserves the right in its intellectual property rights. Copying is strictly prohibited. The information we gather from our customers is predominantly used to fulfil your orders but it can also help us to improve our services and to gather feedback (we always welcome feedback! 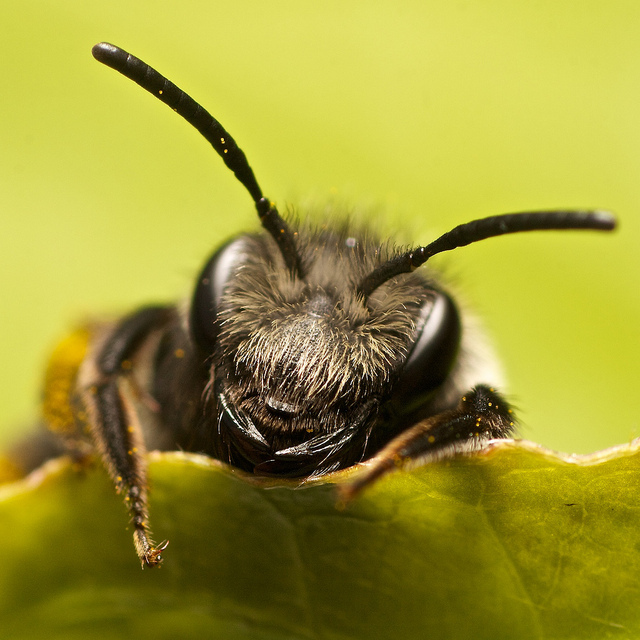 ), to keep you informed about products, offers or simply what’s going on in the world of solitary bees (via our e-mail newsletter) to help maintain the security of our service and enable third parties to perform functions on our behalf (our courier needs to know where to delivery your orders for instance). Should the recipient of your order be someone other than yourself (e.g. a gift we’ll also gather their name and address so that we can deliver that order). If you subscribe to our e-mail newsletter your name and e-mail address will be used to personalise and deliver it. Other information may be collected should you provide it, through the Contact us form or e-mail for instance. The website will automatically collect information such as your web browser capabilities. We use your web browser information to help tailor the appearance of the website to automatically take advantage of the features or limitations of your web browser. To help us to keep our e-mails focused and relevant we may receive a notification whenever you open one of our e-mails. We do not send random marketing e-mails to personal e-mail addresses (spam). We are committed to protecting your privacy and will only use the information that we collect about you lawfully. We do not sell or make available your details to any third party for its own use. Couriers and delivery personnel; as well as your name and address, your phone number will be printed on the parcel label so that you can be contact should there be any problems with the delivery of your order and to ensure that your goods get to you as quickly as possible. Analytical software: we use Google Analytics to collect non-personal, aggregate data about visitors to our website (such as web browser information, screen resolutions and so on) which helps us make improvements. We maintain physical, procedural and electronic safeguards, including encrypting customer data held in our web database, to help keep your information private. However, you should be aware that, unless it is encrypted, information sent over the Internet (including by e-mail) is not secure and can be routed through servers held in a number of different countries. For your security when entering personal details online you should therefore look for websites that use SSL for encryption (they start with the prefix https://) and your web browser should display a padlock icon in the address bar. We aim to ensure that the information we hold about you will be accurate and up to date. You can contact us to check the information held on our back office systems. If you find any inaccuracies please contact us and we will correct or delete them.